Mechanical engineering is the diversified field of engineering that influences all aspects of our lives. This programme has a span of 8 semesters consisting of practical and course work, field training, and project work in order to serve problem analysis, development and testing prototypes by making use of computer-aided design. Due to this, skilled professionals are aware of different types of machinery. Like air-conditioning systems, refrigeration equipment, gas turbines, and internal combustion engines. They are mainly involved in the design of escalators, elevators and virtually different kinds of machinery. Mechanical Engineering with a Bachelor degree requires working in a field with related sub-fields of engineering having training and competencies. Other fields include re-manufacturing and alternative energy; a process of rebuilding products. 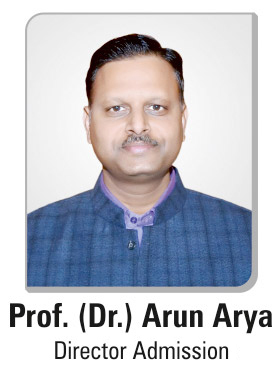 A graduate in Mechanical engineering at Arya College of Engineering and IT can seek a professional engineering license with at least four years of experience and passed two comprehensive examinations. It will allow an individual either to perform consulting work or employed in some governmental positions. I can also seek additional education through a doctoral or master’s level program, leads in leadership and salary prospects. 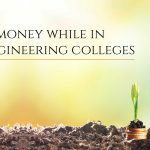 This article will guide you to obtain Mechanical engineering education with step-by-step details. Professionals in this industry require at least a bachelor’s degree in mechanical engineering. Aspirants can seek out programs at Arya Engineering College having multiple degree levels and different time commitments. 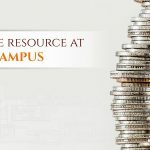 Different programs have different formats including traditional campus-based pathways and programs that combine online and brick-mortar coursework. In Mechanical Engineering, Requirements for bachelor’s programs is different in every school. The Grade Point Average (GPA) of a student in their high school can be an important qualifier, but so too can a student’s score on the Scholastic Aptitude Test (SAT). 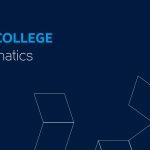 Some admission materials are considered for mechanical engineering schools that include Completed application and fee, Official high school transcripts with a competitive GPA in math and science courses, SAT or American College Testing (ACT) scores, Letters of recommendation, an interview, etc. In order to enter the Mechanical Engineering field, a master’s degree is not mandatory. It can lead to greater opportunities in terms of innovations, coveted research grants, or leadership positions. In their search for programs, students may find differing program pathways at Arya College Jaipur. A Master’s degree requires two years of post-bachelor’s work, but the integrated course with bachelor’s and masters require five years of full-time and accelerated study. Also, there are other dual degree programs that include both a Masters and an MBA. If students are working full-time, have inflexible schedules or living in rural areas, online Master’s degree in Mechanical Engineering can be a correct option. Experience is integral to becoming a mechanical engineer. Not only can it be a starting point to formulate new ideas or concepts, but it also can be central to building the skills needed to work on more complex projects. Additionally, having at least four years of professional experience is imperative for those who want to obtain a professional engineer (PE) licensing.